Whether you want help with your civics homework and quizzes, or want to do a comprehensive review for the AP exam, these flashcards will put the most important facts and concepts about the U.S. government at your fingertips. Study by specific topic, or with a randomized mix; search for specific terms and trials; check your stats to track your progress -- it’s up to you! 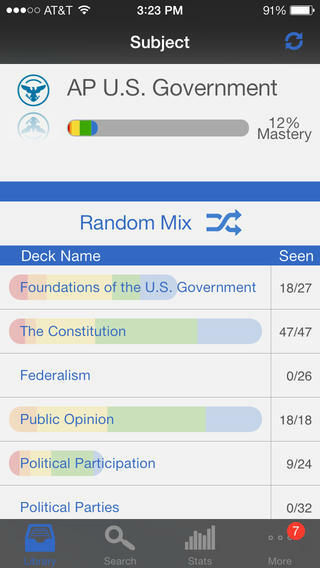 Brainscape’s 600+ dynamic flashcards, covering the foundations of American government to modern foreign policy, present a highly effective, efficient, and fun way to study for one of the most demanding AP courses you will take. 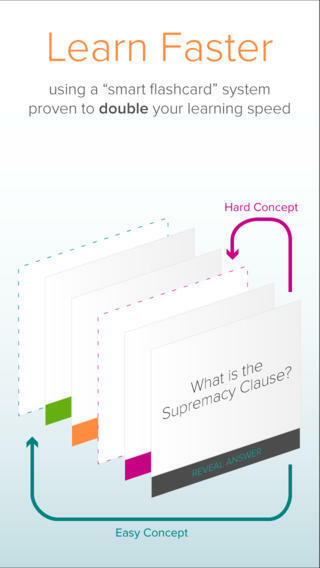 We have ensured that we cover all the fundamental material from the College Board’s AP U.S. Government topical outline, so you know you are covering all your bases! What's more, this app is more than just a set of facts and definitions; we also present the context and significance of the events and decisions we describe. Research shows that quizzing yourself is one of the best ways to study. Brainscape’s adaptive platform lets you immediately diagnose weak areas (which will repeat more frequently as you study) and avoid over-studying already strong areas (which will be sorted out for you). It also tracks your overall success throughout. This won't completely replace your books -- but it will help you memorize the most important information you need to know for the AP exam.